April 18. Shchekino. LezgiSport. The Open Championship of Tula region in freestyle wrestling among men took place on April 13 in Shchekino. LezgiSport.com reports that teams from Kaluga, Orel, Mtsensk, Bryansk, Tula, Shchekino, Plavsk and others attended at the tournament. 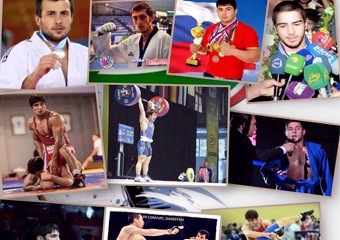 Gadzhimet Ferzaliev became a champion in the weight class up to 70 kg. Gadzhimet comes from the village Kaladzhuh of Dokuzparinskiy district of th Dagestan republic, who is also a champion of Moscow hand-to-hand fighting, and Tula in MMA and Jiu Jitsu.